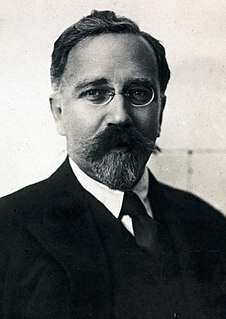 In the Second Party Congress vote, the Bolsheviks won on the majority of important issues, hence their name. 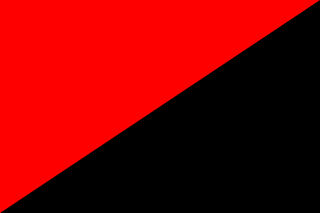 They ultimately became the Communist Party of the Soviet Union. 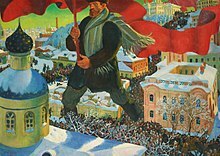 [d] The Bolsheviks, or Reds, came to power in Russia during the October Revolution phase of the Russian Revolution of 1917 and founded the Russian Soviet Federative Socialist Republic (RSFSR). 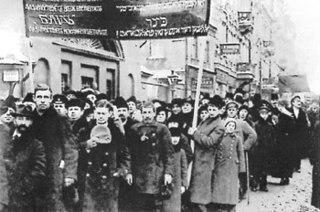 With the Reds defeating the Whites and others during the Russian Civil War of 1917–1922, the RSFSR became the chief constituent of the Soviet Union (USSR) in December 1922. ^ "bolshie". The free dictionary. Retrieved 2014-03-08. Pravda is a Russian broadsheet newspaper, formerly the official newspaper of the Communist Party of the Soviet Union, when it was one of the most influential papers in the country with a circulation of 11 million. The newspaper began publication on 5 May 1912 in the Russian Empire, but was already extant abroad in January 1911. 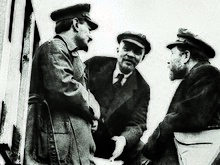 It emerged as a leading newspaper of the Soviet Union after the October Revolution. The newspaper was an organ of the Central Committee of the CPSU between 1912 and 1991. Iskra was a political newspaper of Russian socialist emigrants established as the official organ of the Russian Social Democratic Labour Party (RSDLP).